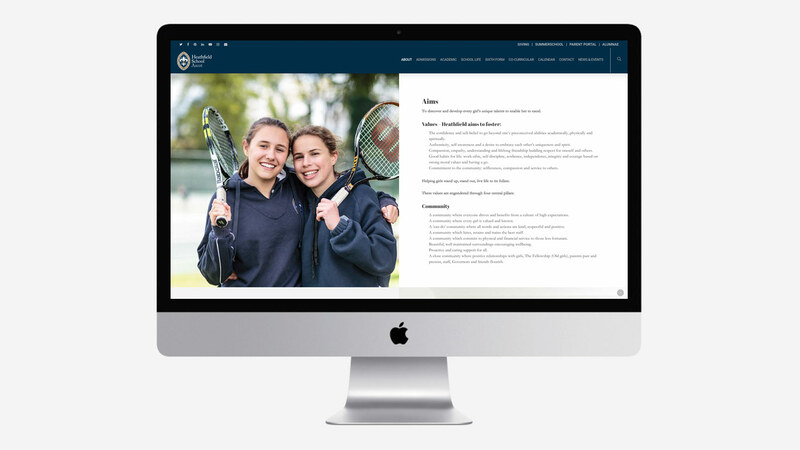 Heathfield is a prestigious boarding school that provides an environment where girls have the opportunity to discover and reach their greatest potential in whatever area that may be. Whether academic, artistic, sporting, musical or dramatic – girls develop life skills, life-long friendships, academic qualifications and the confidence and self-belief that will enable them to succeed throughout her life. 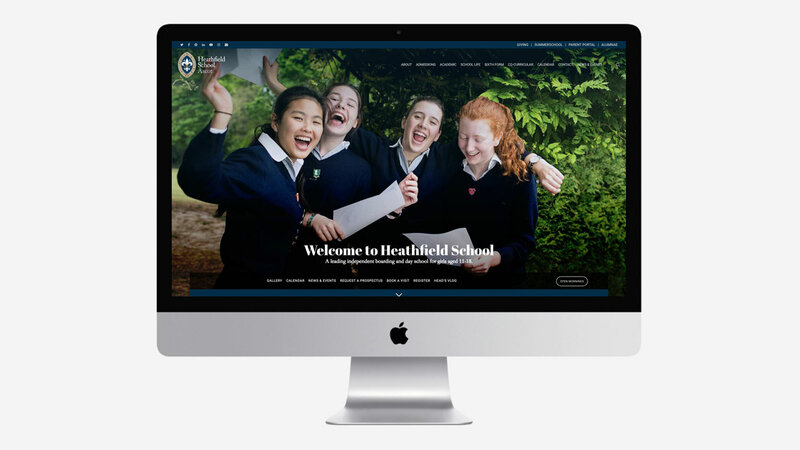 Heathfield’s existing school website design was desperately in need of change. 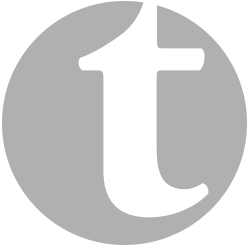 It had ‘outgrown’ their current site so could no longer accommodate the increasing amount of content needed by the school. Also and importantly, it didn’t reflect the new visual identity topright created for them. Extensive re-structuring was needed to improve navigation and user experience. 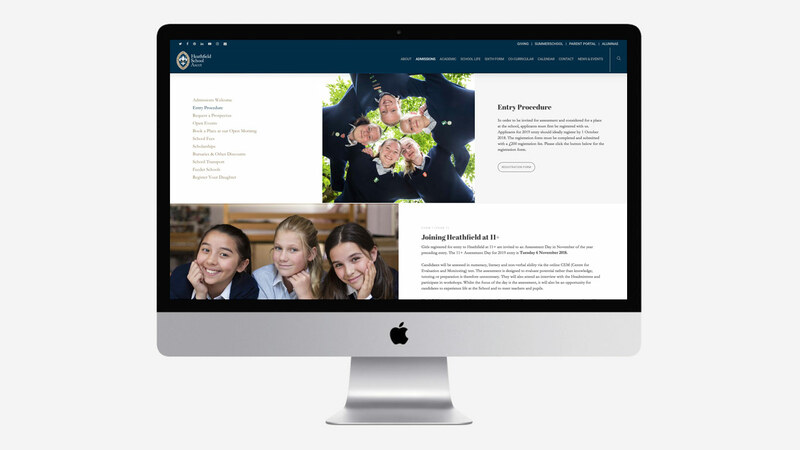 One key requirement of this school website design was that the client wanted to have more control over the site. This was done through a complex but easy-to-use content management system. >We re-structured the content, ensuring users could search or browse the site in various different ways. 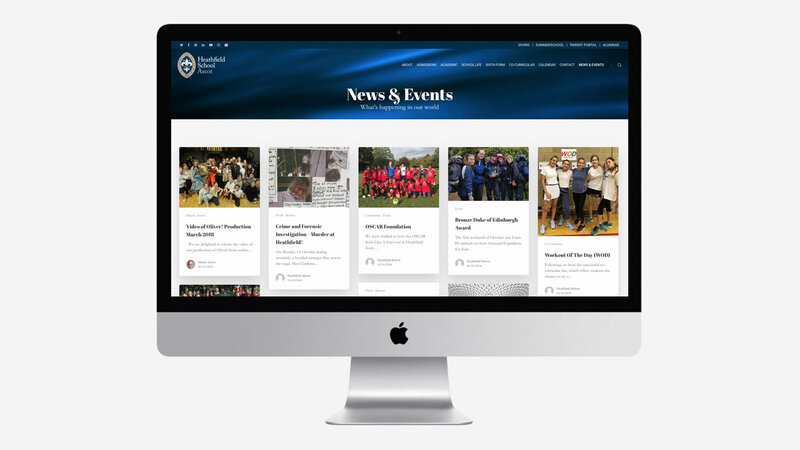 We also implemented interactive features such as: a calendar feed from SOCS; Twitter feed; latest news feeds; embedded school publications; downloadable brochures, guides and form submissions. 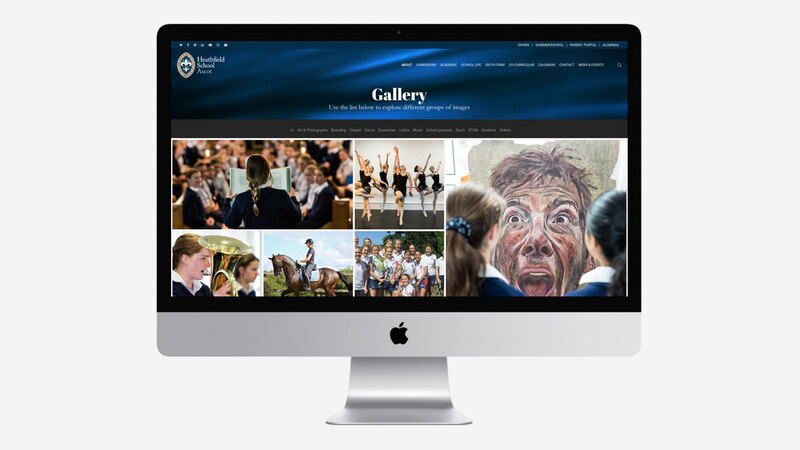 As the school website design hosted a wealth of information, it was important that certain areas were accessible from other related areas across the site. The carefully planned internal links all offer a more intuitive, organic navigation style. The new website is constructed to a grid system. This allows for consistency across the layout and enables the site to work responsively across a range of devices. 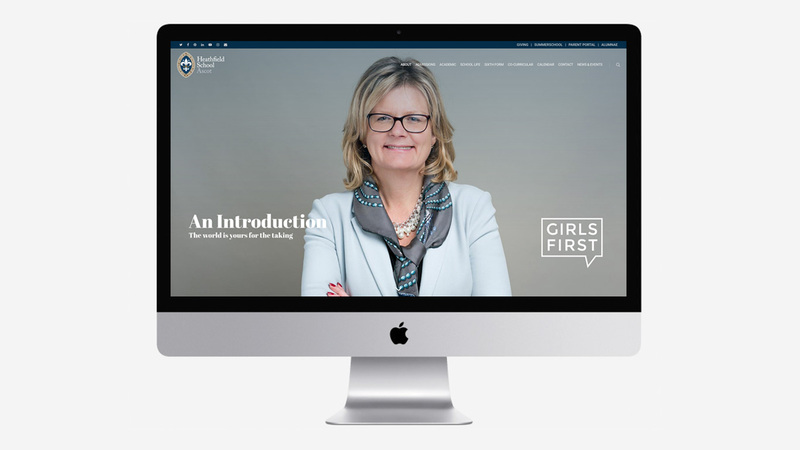 The website is packed full of imagery and carefully considered typography that paints a insightful picture to visitors of life and learning for a Heathfield girl. 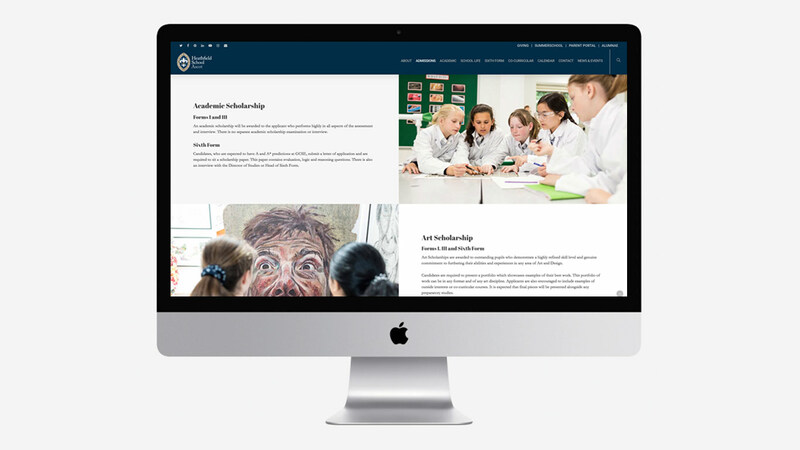 We were able to balance creativity with precision to produce an elegant and professional website that projects the messages that Heathfield wanted to communicate.